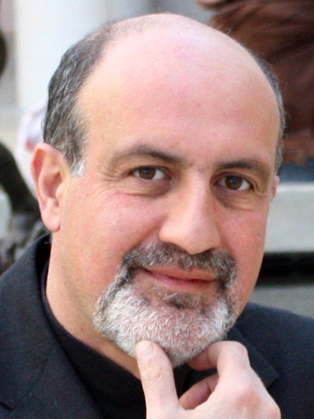 Nassim Taleb spent 21 years as a risk taker before becoming a researcher in philosophical, mathematical and (mostly) practical problems with probability. Taleb is the author of a multivolume essay, the Incerto (The Black Swan, Fooled by Randomness, and Antifragile) covering broad facets of uncertainty. It has been translated into 36 languages. In addition to his trader life, Taleb has also published, as a backup of the Incerto, more than 45 scholarly papers in statistical physics, statistics, philosophy, ethics, economics, international affairs, and quantitative finance, all around the notion of risk and probability. He spent time as a professional researcher (Distinguished Professor of Risk Engineering at NYU's School of Engineering and Dean's Professor at U. Mass Amherst). His current focus is on the properties of systems that can handle disorder ("antifragile").